What are you going to learn today? Your company is selling software and a customer in the U.S. is asking you for form W-8BEN-E? You should supply it or risk having 30% of your payment withheld. Some customers might also not place an order at all before receiving this form. Disclaimer: This blog post is presented for educational and entertainment purposes only. I originally wrote the instructions below for my own company. They might be incomplete, wrong or not applicable to your situation. What are software licenses (in tax treaty terms)? For this article, I’m assuming they fall under royalties / copyright. 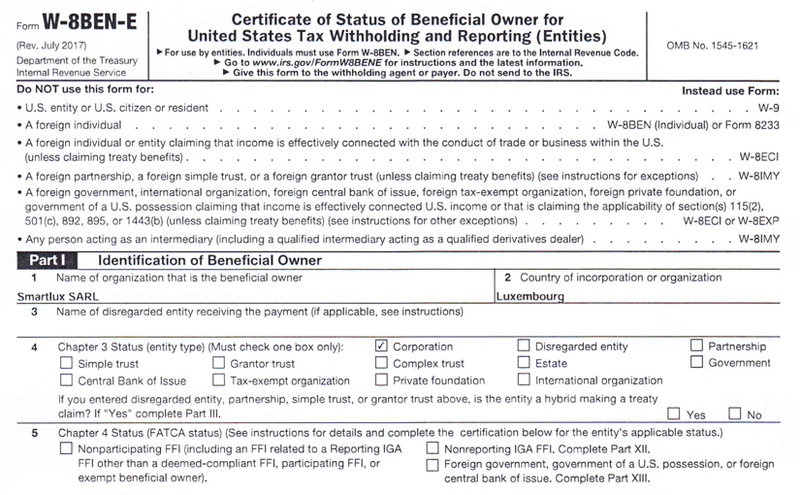 IRS page with form W-8BEN-E, official instructions and further information (download the form and the instructions here). U.S. business taxes information from Stripe Atlas (in case you’re considering establishing a company in the U.S. just so you won’t have to deal with form W-8BEN-E anymore). You could also work with a reseller based in the U.S. to get around this issue. We normally work with FastSpring. Their W-9 form can be found here (PDF). Check “Corporation” on line 4 (if you’re not working for a corporation, you’re probably reading the wrong blog post). Skip line 5 (FATCA status) entirely. Software licenses are excluded from the FATCA definition of “withholdable payment” [see: Experis – Finance FATCA Checklist for Multinational Companies (PDF); EY – Information reporting and withholding: the impact of Foreign Account Tax Compliance Act (FATCA) on multinational organizations (PDF)]. Enter address on line 6. Provide a US taxpayer identification number (TIN) in the form of an employer identification number (EIN) on line 8 or the tax ID assigned in your country on line 9b. Line 14a: Check the box and enter your country. If you are a resident of a foreign country that has entered into an income tax treaty with the United States that contains a limitation on benefits (LOB) article, you must complete one of the checkboxes in line 14b. You may only check a box if the limitation on benefits article in that treaty includes a provision that corresponds to the checkbox on which you are relying to claim treaty benefits. A particular treaty might not include every type of test for which a checkbox is provided. To find out if your country’s tax treaty includes a LOB article (it most probably does), go to the IRS tax treaties tables page and look up your country in table 4 (limitation on benefits). You can find the complete text of the tax treaty through this page and read the articles mentioned in table 4. The official instructions for form W-8BEN-E also contain summarized versions of the LOB tests which might be useful. You should then be able to figure out which box to check. Line 15: As far as I understood the instructions, this line has to be filled out only “if the treaty contains different withholding rates for different types of royalties.”[see IRS instructions]. Remember table 1 from the very beginning of this blog post? Look at it again. Are all royalties rates the same? If yes, skip line 15, otherwise, fill it in. As “n/a” is not a rate (I hope), I skipped this line (all rates were the same for Luxembourg). Sign, fill in print name and date in U.S. format, check the box at the bottom. Even though I really don’t want to deal with this topic again, I’ll leave the comments open so that you can correct me on all that’s wrong with my instructions. However, please don’t ask me to help you fill out form W-8BEN-E for your company! We use FastSpring to sell our software, which means that our account balance is in USD. FastSpring can pay out in EUR to a SEPA bank account, but new FinTech companies seem to offer better exchange rates. Transferwise is one of these companies. 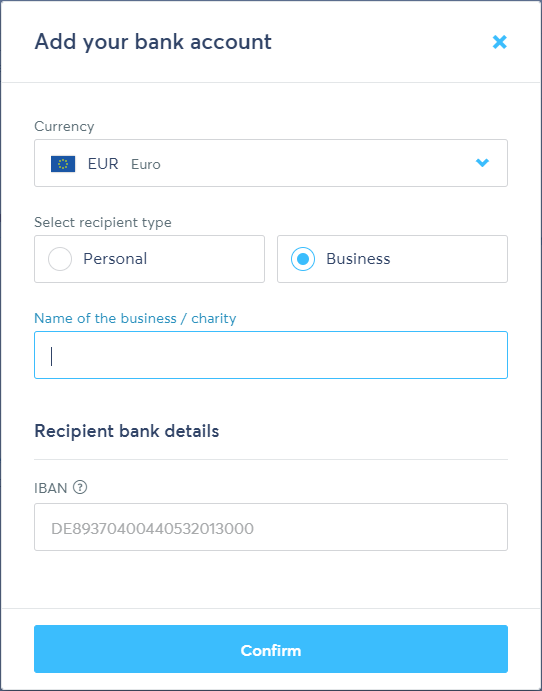 Their bordereless account (which is not the same as their regular account) makes it possible to get paid by FastSpring to a US bank in USD (for free), convert the payment into EUR at Transferwise’s advantageous rates and withdraw it to a EUR account. Click here and apply (this should direct you to the borderless signup page). You can also click on this affiliate link to get a free transfer and to support this blog, but please note that this will send you to the regular Transferwise signup page. It took quite a while for Transferwise to open our borderless account. If you don’t hear from them within a few business days, I recommend logging in to check if further documents are required. After logging in to your borderless account, you’ll be able to activate currencies. Obviously, you’ll need USD to get paid by FastSpring. Activating USD as a currency also gives you your USD bank details. I strongly recommend clicking on the “How do I use these?” link to learn more about using your USD bank details. Note that these are the instructions for FastSpring’s “Classic Springboard”, things will look different if you’re using the more recent “contextual” dashboard. Transferwise gives you all the bank details you’ll need to enter with the exception of the bank’s name. However, you can easily find the name by either entering your wire routing number (a.k.a ABA routing number) on this website or by entering your ACH routing number here. In our case, both numbers returned “Community Federal Savings Bank” as the bank’s name. 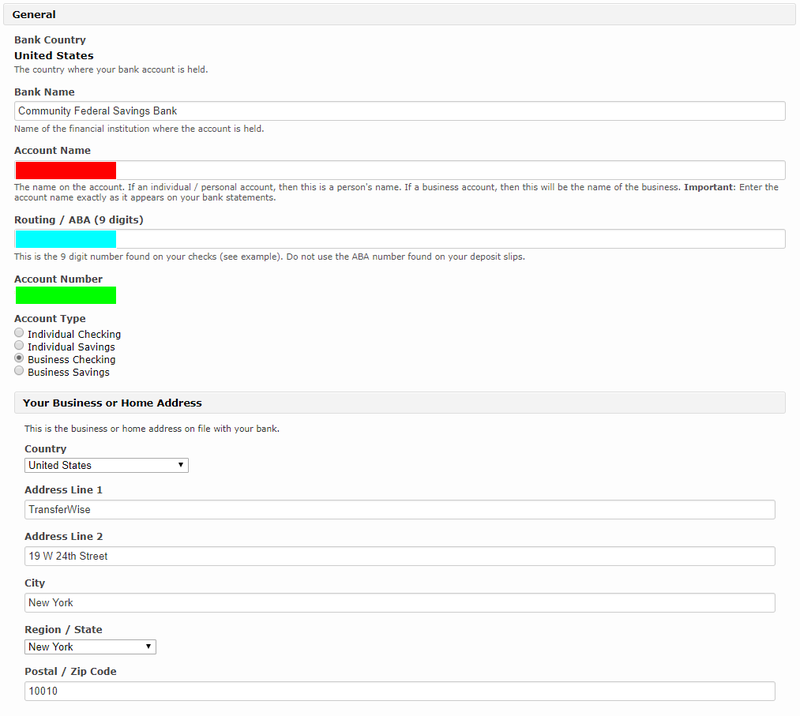 To make things more confusing, FastSpring asks for a “Routing / ABA (9 digits)” number. Do not actually enter the wire routing number (a.k.a ABA routing number) here! Instead, enter the ACH routing number (FastSpring customer support has confirmed that this is correct). Transferwise recommends choosing “checking” and not “savings” as the account type, so I selected “Business checking”. 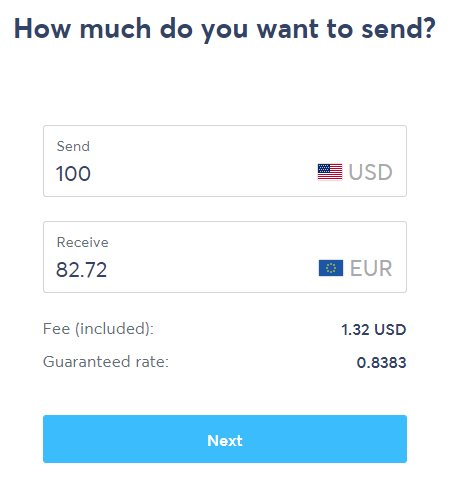 Transferwise will show you the exchange rate and the fees (1% for USD to EUR). Soon afterwards (on the next business day in our case), your money will show up in your EUR bank account. Are there alternatives to Patreon? Update December 13, 2017: Patreon is sorry and will not roll out the fee changes. Payment processing and management (subscription / per creation). Low fees for micropayments (through payment aggregation). Content hosting and access regulation. Patreon has recently announced changes to their fee structure which will make it significantly more expensive to support a large number of creators with small amounts, effectively eliminating the third point. For further information, read this discussion on Reddit, this blog post or head over to Twitter to witness the shitstorm. There’s also an interesting theory that financial regulations might be the true reason why Patreon suddenly shot themselves in the foot . The only alternative providing all of the 5 functions listed above appears to be Drip (by Kickstarter). However, Drip is currently “invite-only” and not yet open to all creators. All other alternatives I found may fulfill some of the functions, but not all of them. Nevertheless, they often charge higher fees than Patreon. Snowdrift.coop maintains an excellent overview of crowdfunding and fundraising services (there are several lists on that page, be sure to scroll all the way down). However, many of them won’t solve the micropayment problem (notable exceptions are Flattr and Liberapay). The majority of creators I used to support on Patreon offer direct donations through PayPal or via bank transfer. Obviously, this only satisfies the first point on my list, but it might still be an acceptable solution to many small donors who removed their pledges on Patreon in protest against the new fee structure. Posted on December 10, 2017 December 10, 2018 Categories Business Tips, eCommerceTags Digital goods, PatreonLeave a comment on Are there alternatives to Patreon?